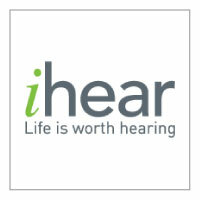 At ihear, our goal is to find the best hearing solution for every individual and we look forward to helping those of you with a hearing concern get back to enjoying your life to the fullest. We offer a full range of services and discreet hearing solutions to suit every lifestyle and budget. Our local skilled professionals carefully examine each client’s whole profile – enabling us to fit you with the latest in hearing technology that will enhance each day and every unique experience. We hope to build lasting relationships with you that will develop over time as we seek to provide continuing support and service.